Researchers have just discovered a new way to capture images of Sagittarius A*, the supermassive black hole lying at the center of our galaxy. So far, attempts at getting a direct image of Sagittarius A*, the central supermassive black hole of the Milky Way, have hit an impenetrable wall. The event horizon of Sagittarius A* hides behind a superdense cloud of dust and gas. This cloud obscures our view and prevents us from constructing sharp pictures. But, thanks to advances in highly-sensitive telescope systems, astronomers can now help reveal the secrets of Sagittarius A* and unveil its looks little by little. Until now, images of Sagittarius A* resembled a relatively small dark spot 25,000 light-years away, making it nearly impossible for astronomers to study. Now, researchers are taking a new approach. Instead of focusing on the black hole itself, researchers are studying its effects on its immediate environment. As matter falling into Sagittarius A* heats up, it emits light into the surrounding area. However, the surrounding plasma causes this light to scatter, rendering any images hazy. To help them peer through the haze, an international research team included ALMA (Atacama Large Millimeter/submillimetre Array) into their network of telescopes. Using this array of 13 telescopes located across the globe, they were able to map radio waves emitted by the plasma surrounding Sagittarius A*. But this image reveals more about Sagittarius A* than it seems. 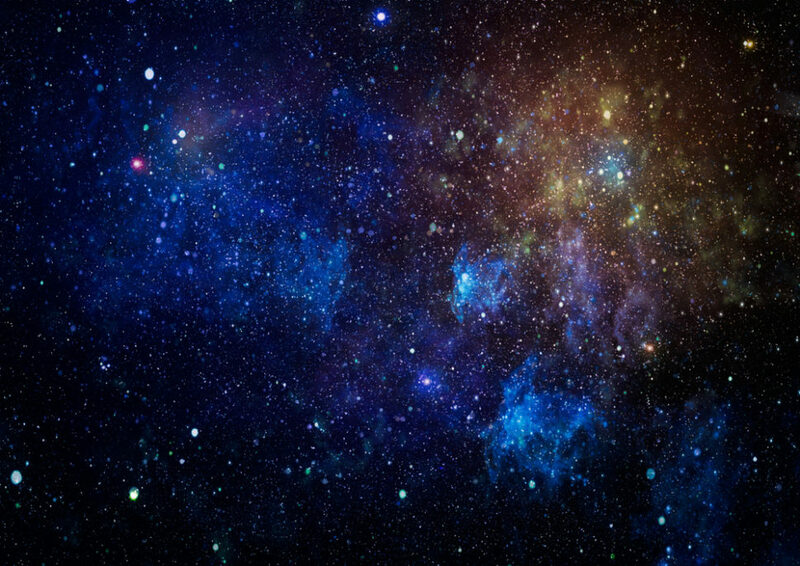 Now, researchers think the cosmological beast could be firing radio jets directly at us. A black hole as supermassive as Sagittarius A* emits powerful radio jets called relativistic jets. While most matter in black holes gets annihilated, a small fraction escapes the black hole in the form of radio waves traveling at speeds close to that of light. 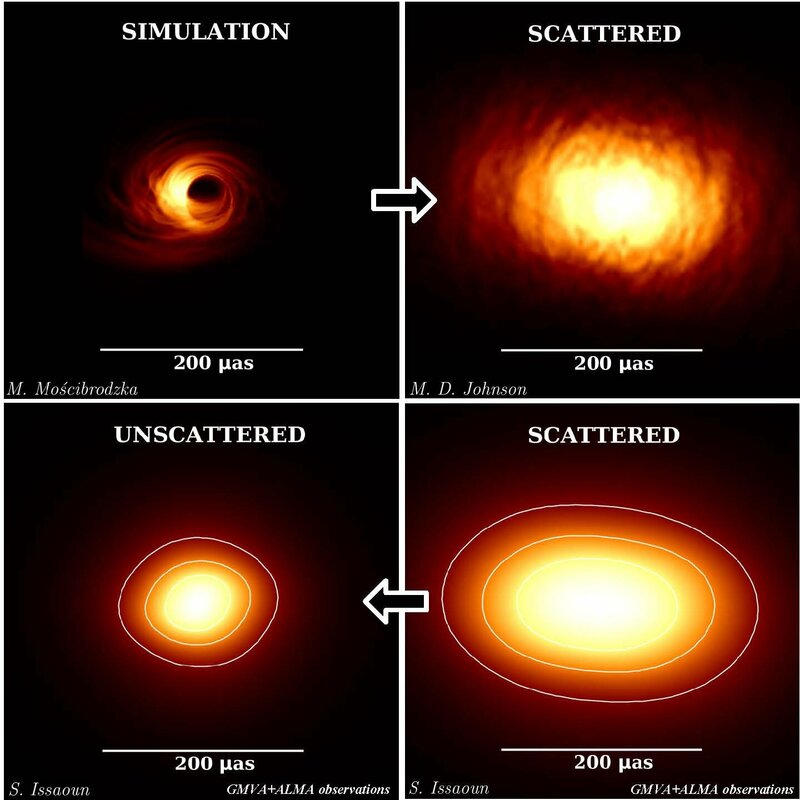 Thanks to the high-resolution image they obtained, the research team could reconstruct the gas cloud surrounding Sagittarius A* using computer models. At a mere 300 millionth of a degree, the team discovered that the source of the radio emission is much smaller than they thought. “This may indicate that the radio emission is produced in a disk of infalling gas rather than by a radio jet,” explains Sara Issaoun, a lead researcher on the project. “However, that would make Sgr A* an exception compared to other radio emitting black holes. The alternative could be that the radio jet is pointing almost at us”. For Heino Falcke, radio astronomer and Issaoun’s PhD supervisor, this is “very unusual”. However, he no longer deems such a scenario as implausible. We’re still waiting for the Event Horizon project to give us the first direct image of Sagittarius A*, but these findings could give researchers insight into how these black holes form and their role in the formation of our Universe.